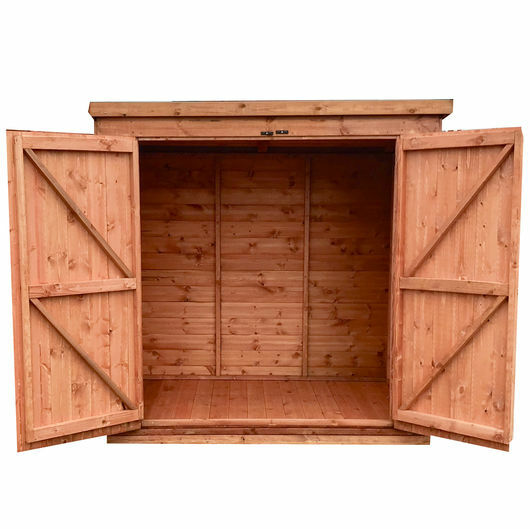 The Atlas shiplap tongue and groove Double Door Pent wooden Tool Shed is one of Atlas Sheds more prominent and popular products. One fundamental reason for it being our bestseller comes from its superior grade tongue and groove shiplap cladding. 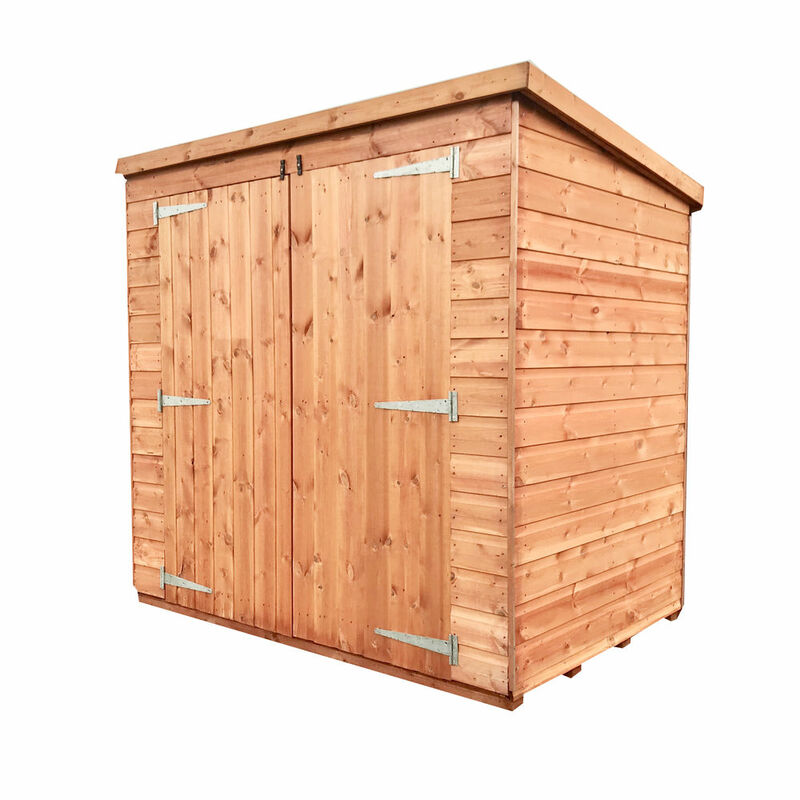 Its classic design makes it one of our most popular garden sheds. The cladding, emphasising rigidity and security, comprises of a high quality selected European softwoods, protected with a red cedar water based treatment. 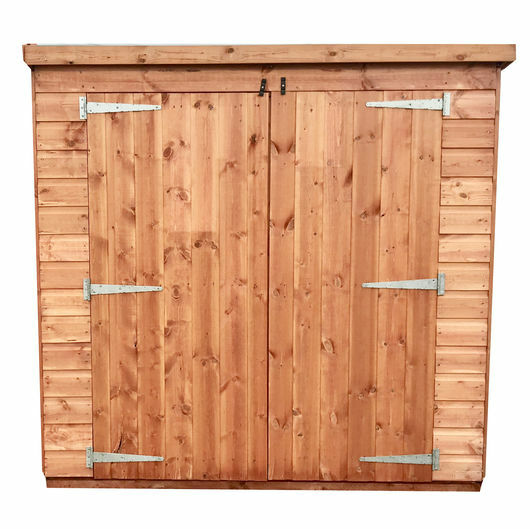 This makes the Atlas shiplap tongue and groove pent Tool Shed an excellent and aesthetically pleasing product providing an ideal storage space. The fully framed roof of the Atlas shiplap tongue and groove Pent Tool Shed is covered with a layer of heavy duty green mineral polyester backed felt for further protection. Internally, the ultra strong rounded four corner framework, double in the corners, provides additional structure and strength to the overall garden shed. The well braced single access door provides more than sufficient access to store large outdoor products such as barbeques and bicycles.